Who chooses whether your kids get vaccinated? For decades, vaccinations have been regarded as the most important form of defence against childhood illnesses like measles, mumps and rubella. And for decades, parents happily vaccinated their kids to protect them (and others) without question. Then, around 10 years ago, serious doubts began to be raised as to the safety of vaccines by the now-discredited Andrew Wakefield, who called into question the safety and validity of combination vaccines like MMR. Despite the research eventually being proven to be full of errors, some parents decided to stop vaccinating their children for fear of supposed side effects such as autism. Now, the World Health Organisation has declared that the failure to vaccinate children against even the simplest of illnesses could lead to worldwide epidemics. They’ve gone so far as to declare anti-vaccination as the ‘Top threat to World Health in 2019’. When you consider that other threats on their ‘top ten’ list included Ebola, pollution and famine, the fact that anti-vaccination took the top spot demonstrates just how seriously the WHO takes the threat of ‘vaccination hesitation’. The WHO has been monitoring the situation and has raised serious concerns regarding the spread of illnesses like measles into populations that had been previously clear of the disease. They estimate that vaccinations currently prevent between 2-3 million deaths a year, but since anti-vaccination ‘fever’ took hold, they’ve seen a 30% rise in the number of measles outbreaks globally. While not all of these are the result of anti-vaccine campaigning, the WHO does believe it has a considerable impact on parents’ decisions to get their children vaccinated. What’s the legal position on vaccination? In the UK, vaccination is voluntary, so you cannot be ‘forced’ to vaccinate your child. If a school has a vaccination programme, they cannot insist that your child (if they are under 16) participate. So, if you withhold consent to participate they cannot override your decision, although you may find you come under some pressure to allow your child to be vaccinated. Can the child make the decision? Children under 16 can refuse consent to be vaccinated, but it is rare. Older children can also go against the wishes of an anti-vaccination parent and give their permission for the vaccine to be administered. The murky nature of the law around vaccination is being investigated by the Joint Committee on Vaccination and Immunisation, but at the moment there doesn’t appear to be any serious move towards compulsory vaccination. There are worries that to do so would contravene aspects of human rights legislation. Compulsory vaccination also has very little support in any party’s mandate and has never been debated in Parliament. In France and Italy, there is compulsory immunisation against illnesses such as polio, diphtheria and tetanus, but the only time that mandatory immunisation has been tried in the UK was back in the 1800s. It didn’t go down well with the population, and it’s highly unlikely that it would receive a warm reception from the public today. 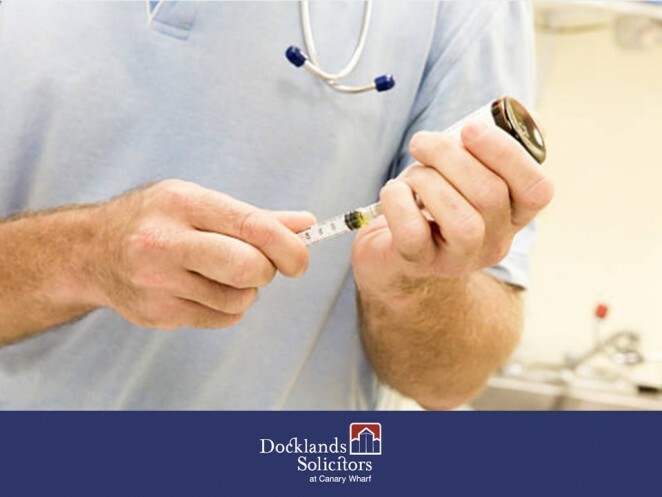 The courts cannot force a parent who doesn’t want their child to be vaccinated to capitulate, and by the same token if a parent does want their child immunised but their partner doesn’t then they cannot force the issue via the courts. Vaccination seems to have slipped through the legal net, with no clear direction on what is or isn’t acceptable. It’s also a topic that can really cause emotions to run riot, and battles between ‘anti-vaxxers’ and those who support the use of vaccines to prevent childhood illnesses can sometimes turn ugly. If you’re confused as to what your rights are (for example, if you prefer not to have your child vaccinated and are being put under pressure by your child’s school to participate in a vaccination programme), then the best thing to do is to talk to a legal expert who specialises in family law. While there may not be any reason to escalate a case to the courts (who would be reluctant to become involved anyway), they may be able to act as a mediator to try and bring about some kind of resolution between the parties. For more information and help with this issue or a similar issue get in contact with Melissa Markham here.